It’s a common staple of movies and TV shows. A band of crooks (or, occasionally good guys) plan to break into a massive facility and are warned it’s almost impregnable. While it’s true some places are intense, others may not have the same level of security as one would expect. The White House offers regular tours for people and while it’s the home of the President, there have been issues in the past that show it’s not hard to jump that fence. It’s much the same with other places of residence for world leaders, far easier to break in than one would expect. However, other spots are better designed to hold things in and, more importantly, keep things out. The list of secure facilities around the world abound from major capitals to banks. Some are better kept safe due to their secrecy; for example, no one is exactly sure where the Iranian National Bank actually keeps their gold, allowing it to be pretty safe by that. But other places are famous for their high security and location which often aids them in keeping things tight. Naturally, prisons are notable for their heavy fortifications, but some areas are notable in how not being overt about their security hides how tough they really are. From jails to banks to a few surprising spots, here are fifteen of the most heavily guarded places on the planet. And while it’s fun to imagine breaking into a few of these spots, pulling it off is something else altogether. Several people have commented on how Julian Assange’s facility looks more like a lair of a James Bond movie villain. The found of WikiLeaks decided to move his servers into an abandoned nuclear bomb shelter in Sweden in 2010. The facility was built within a mountain and rests a hundred feet underground within a hill designed to withstand a nuclear strike. Several sections have been blasted create new chambers and house it’s own personal power supply to ensure things keep running on their own. The security outside isn’t overt, mostly private guards, but the remote location makes it hard to sneak up on. It’s fitting as the home of the site that’s angered several governments by leaking their secrets out into the world. 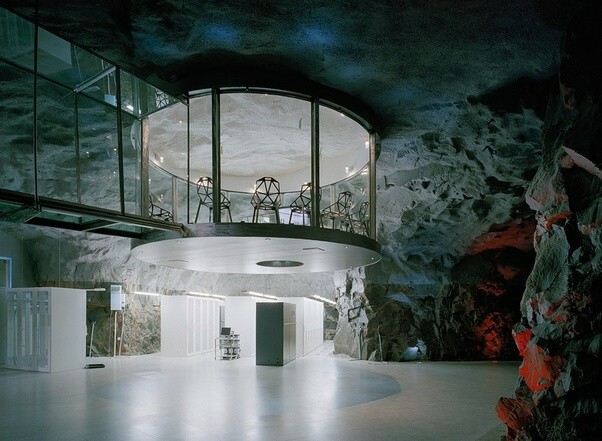 While many would love to shut the place down for good, it’d require a full scale invasion of Sweden to do it and because of this Julian Assange’s bunker remains pretty secure.